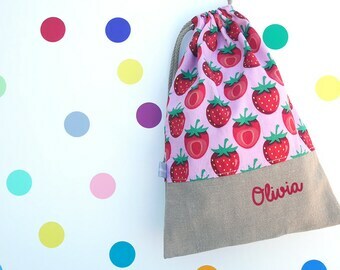 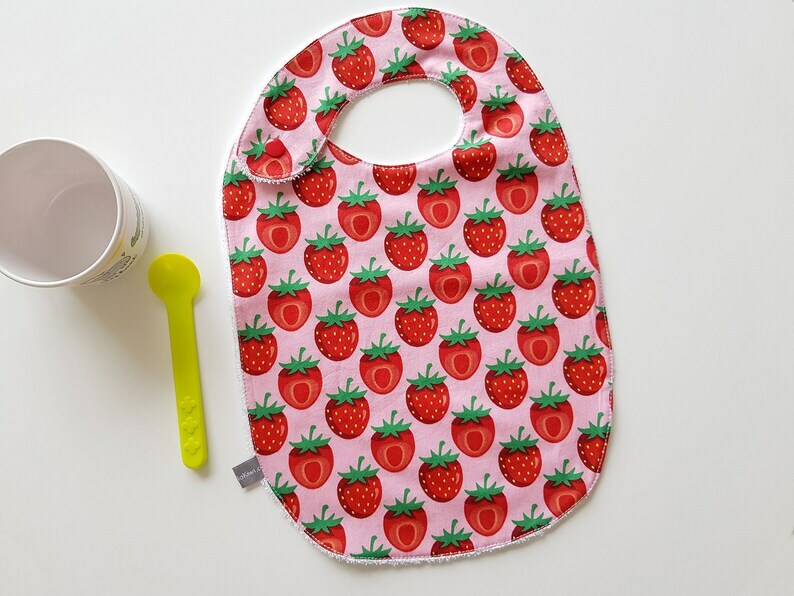 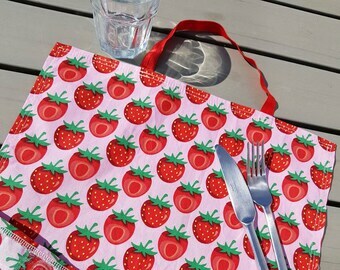 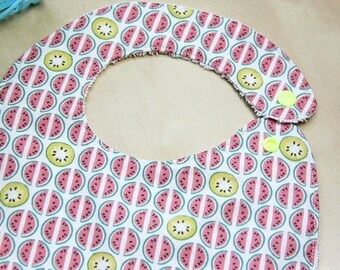 I made this baby bib with a soft white bamboo terry cloth (oeko tex) and a cotton printed with strawberries. 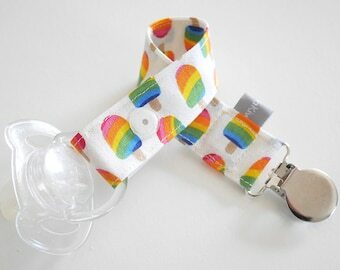 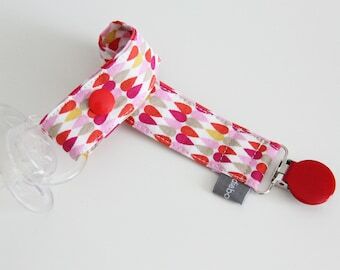 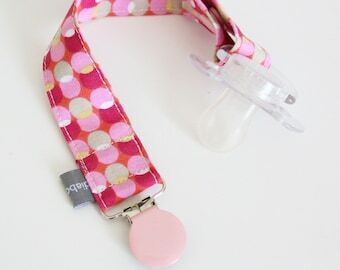 It closes with a matching plastic snap, so it is very easy to put on and take off. 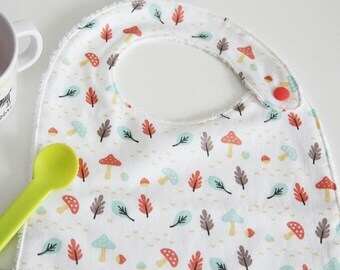 Machine washable, 40°, lay flat to dry, or soft tumble dry.